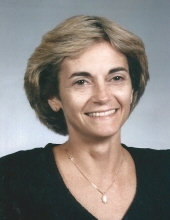 Laura Sue Spratling Theriot, loving daughter, sister and aunt, passed away on January 29, 2019 at the age of 63 with her family by her side. A remembrance of Laura will be held Saturday February 2, 2019 from 1 - 3 pm at A.S. Turner and Sons Funeral Home in Decatur, followed by a graveside service at Flora Hills Memory Gardens. Laura was a bank executive and an educator. Laura leaves behind her mother, Phyllis Spratling; brother Philip Spratling and his wife, Vickie; brother, Brian Spratling and his wife, Donna; nephew, Andrew Spratling and his wife, Cailen; niece, Kacy Martin and her husband, Josh. She was preceded in death by her father, L. H. Spratling, Jr. and sister, Karen Spratling. To send flowers or a remembrance gift to the family of Laura Sue (Spratling) Theriot, please visit our Tribute Store. Procession from A.S. Turner Funeral Home to cemetery. "Email Address" would like to share the life celebration of Laura Sue (Spratling) Theriot. Click on the "link" to go to share a favorite memory or leave a condolence message for the family.